This game has good art, good music, a good story line, and overall good game play. It’s not hard once you figure things out. 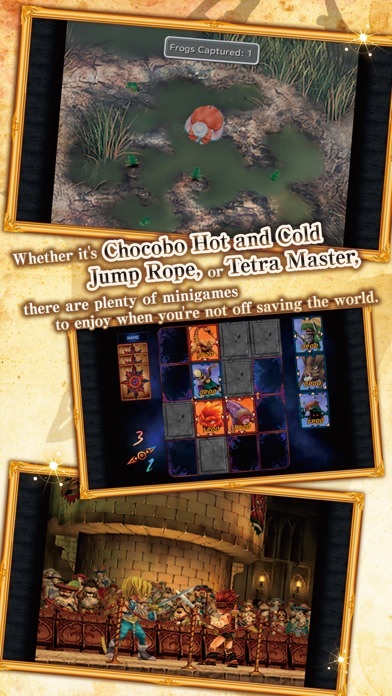 Learn abilities on your equipment to negate unnecessary difficulties with monsters and bosses. For example, if you know a boss will cast flare star, then you might want to equip the ability body temperature so you don’t over heat. Similarly if you know you’re about to fight a beast, equip beast killer to do more damage. The only complaint I have is flying the airship. The controls are kinda weird for that and I had to re adjust to go the direction I wanted to go. 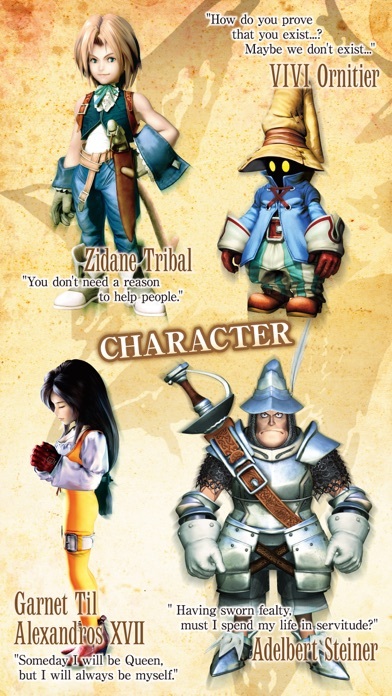 I feel this game like most other jRPG games use a lot of Shinto religious themes. Memories are connected, no one is separate from themselves but are connected to the whole. Good experience overall. Need to expand the screen!! This app runs perfectly they just need to expand the screen for the iPhone 10. After the fifteenth, I’d choose the ninth. 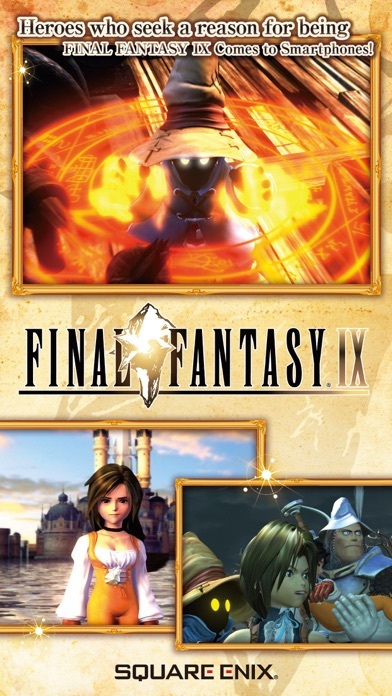 It has a good story, no annoying voices like in FFX, (yet the tenth ff was pretty good, second one was crap though) they need to make a nice remake, or a sequel. 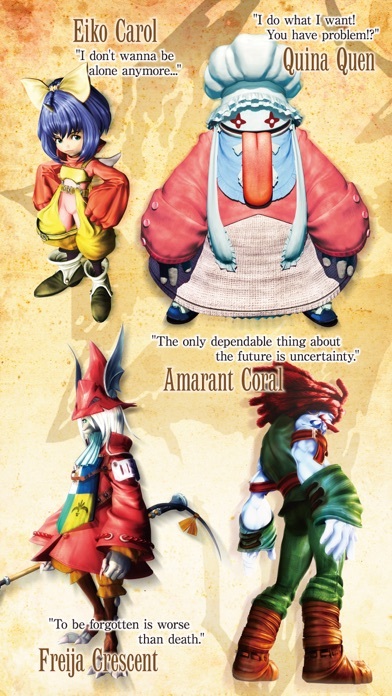 I dunno much, but I do know this game is a great final fantasy and good on every port. 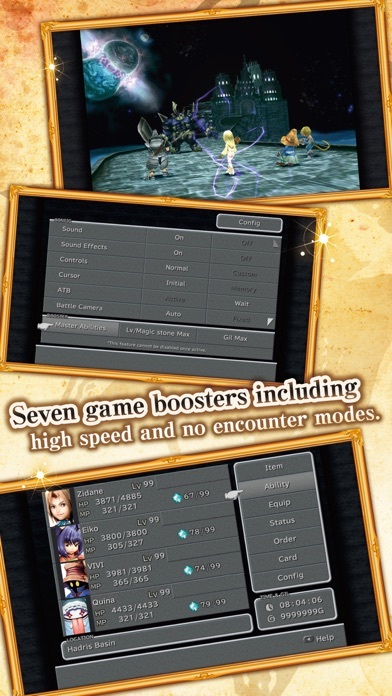 I love how they have translated this game into an app. I just finished the game and no doubt this will be a game to revisit at least every year. It has all the features as the original game and it´s nice not having to change disks :). I love this story and I love every single character! 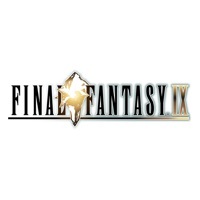 I am very excited to start VII, it would be fantastic to see VIII and X as an app as well. Big fan here. Thank you for making this available. The game doesn’t make use of the whole screen on X, Xr, Xs and during long cutscene it goes to sleep when no input is made. We paid a PREMIUM price for this game and it hasn't been updated in over a year. No iPhone X, XS, XR support. Ridiculous.